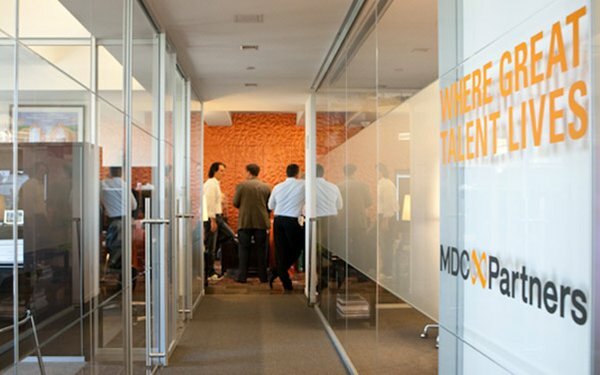 MDC Partners said today it will combine a special meeting to consider a slate of alternative board directors demanded by FrontFour Capital Group at the company’s annual shareholders gathering, scheduled for June 4. "The board of directors of the company has determined that, rather than incur the additional expense and disruption that would be associated with holding two shareholder meetings in quick succession, it would be in the best interests of the company to hold the requisitioned meeting at the same time as the annual meeting takes place in June," MDC stated. Earlier this month, FrontFour escalated its battle with MDC Partners by requesting the company call a special shareholders meeting to vote on a proposal to replace three board members, including Scott Kauffman, who stepped down as CEO of the company at the end of 2018. The hedge fund has been pushing for leadership changes at least since the summer, according to a November SEC filing. The firm said it believes changes are needed to boost value for shareholders. The MDC board has also adopted an advance notice by-law, establishing a framework requiring advance notice for the nomination of directors by shareholders of MDC Partners. The by-law will be presented to shareholders for ratification at the June 4 meeting. According to an SEC filing from MDC today the by-law “sets forth specific information about the nominating shareholder and about the proposed nominee director” that must be provided when written notice of proposed new board members is submitted to the company. Details of the required information weren’t specified in the filing. The company continues to explore “strategic alternatives,” including a potential sale of the firm. Accenture, among others, has reportedly made an offer. The firm also continues to search for a new CEO.